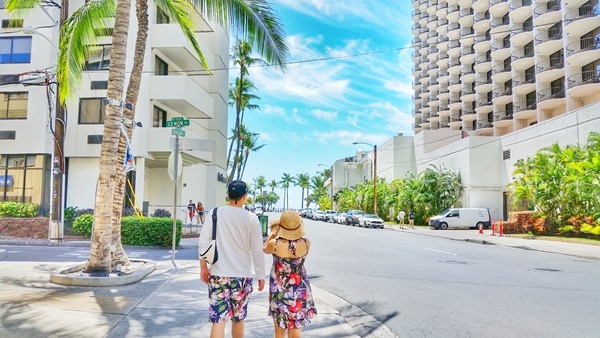 What to wear to a luau in Hawaii :: hawaii outfits. hawaii packing list. So if you are soon off to Hawaii for your vacation, you have probably comes across a bunch of lists that tell you to go to a luau so you can experience a bit of Hawaiian culture. After all, you’re in Hawaii which has a history with a culture far different from any other culture on the mainland United States. 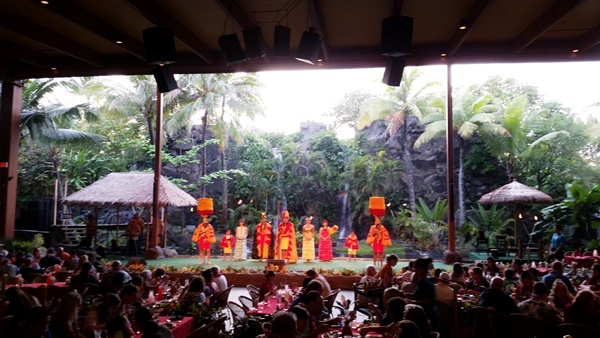 So going to a luau will allow you to see a little bit of what Hawaiian entertainment is like with food, music, and dancing! What should you wear to a luau in Hawaii? In short, your normal clothes will be just fine! For kids and teens, the types of clothes that they wear to school would work out just fine. For adults, the types of clothes you wear when you eat out at a casual restaurant will likely work out just fine. So, you just might want to wear a little bit of clothes that represent Hawaii as we know it 😉 to go with that lei flower necklace you’ll get. Below is a list of very Hawaiian outfits for you to take a look at. First up are these pictures at the Polynesian Cultural Center. These are pictures of visitors and performers on a canoe. But the images we care about for the purposes of what to wear to a luau are the pictures that you see of regular people, and not the performers. You can also see people in the background and what they’re wearing in some of the pictures with the performers. This is not at the luau, but most people in these pictures very likely attended the luau in the evening. This means that’s how they were dressed at the luau. Next, take a look at these pictures. These are images at the same place, but this time it’s later in the evening, at the luau or buffet. You can see some pictures of people sitting and eating to see what they are wearing. So, as you can see, it’s quite normal to wear normal clothes to a luau! So if you do decide to wear Hawaiian outfits at the luau you’re going to, you won’t be alone!